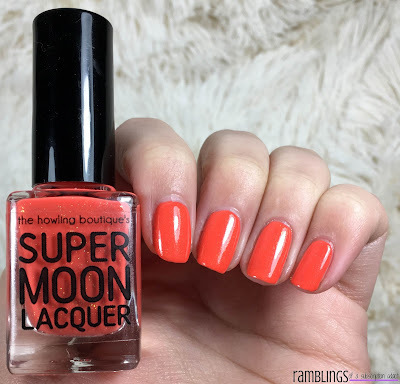 It's time for another review of a gorgeous polish from The Howling Boutique's Supermoon Lacquer! If you haven't seen them already, she makes some gorgeous Beta polishes that are ones she's created but haven't been perfect for her collection, and they are stunning! 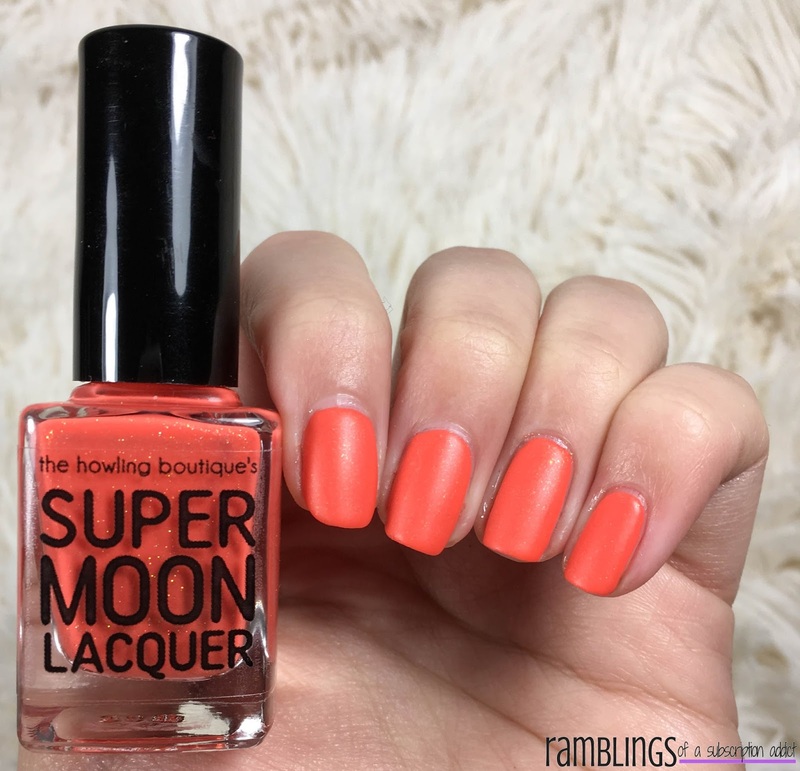 You can get some really unique and different polishes and I highly suggest grabbing up a set when she restocks! 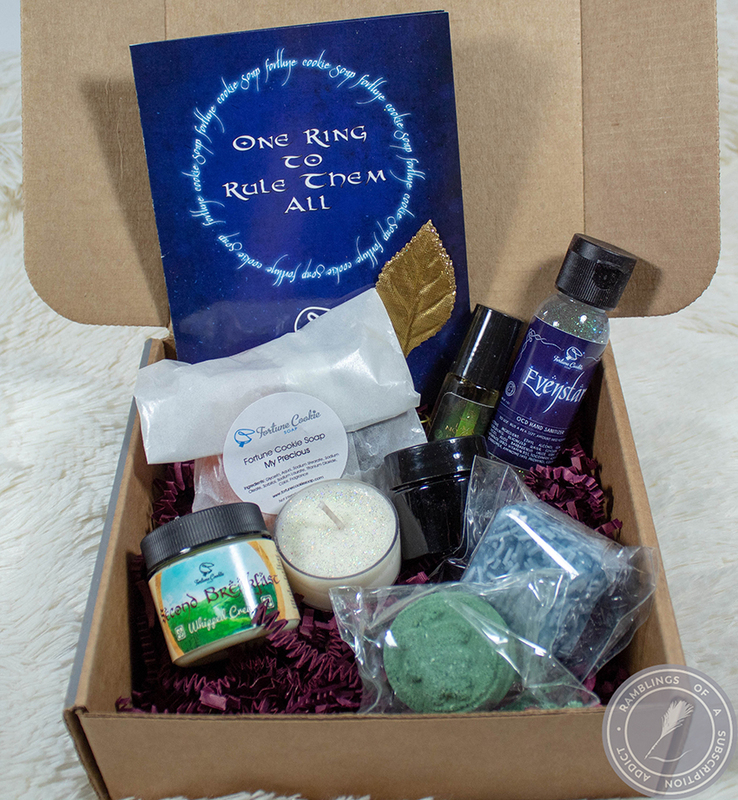 Betas come in sets of two and each set is $15. 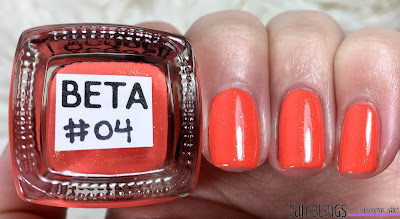 Beta 04 is a vibrant orange creme with gold flecks. Hello Summer, my nail is Kiersten. 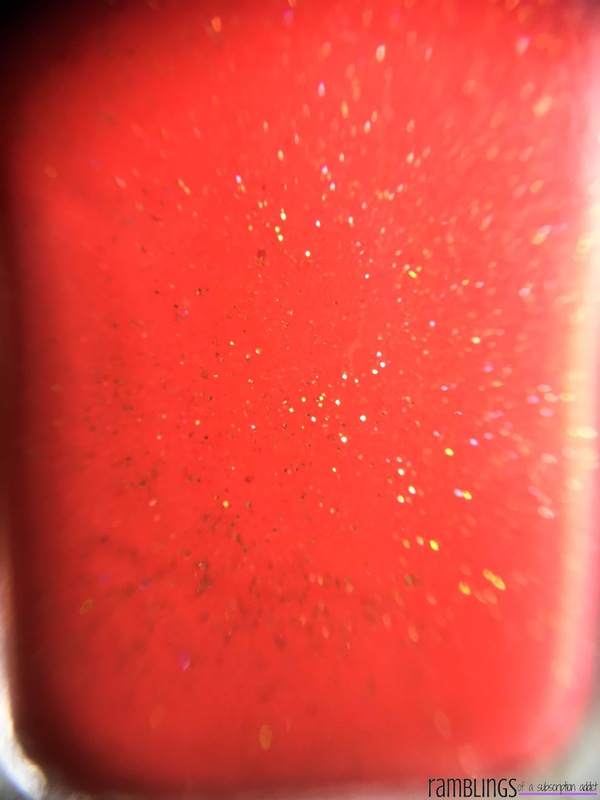 I was so shocked when I opened the package and saw such a vibrant shade! 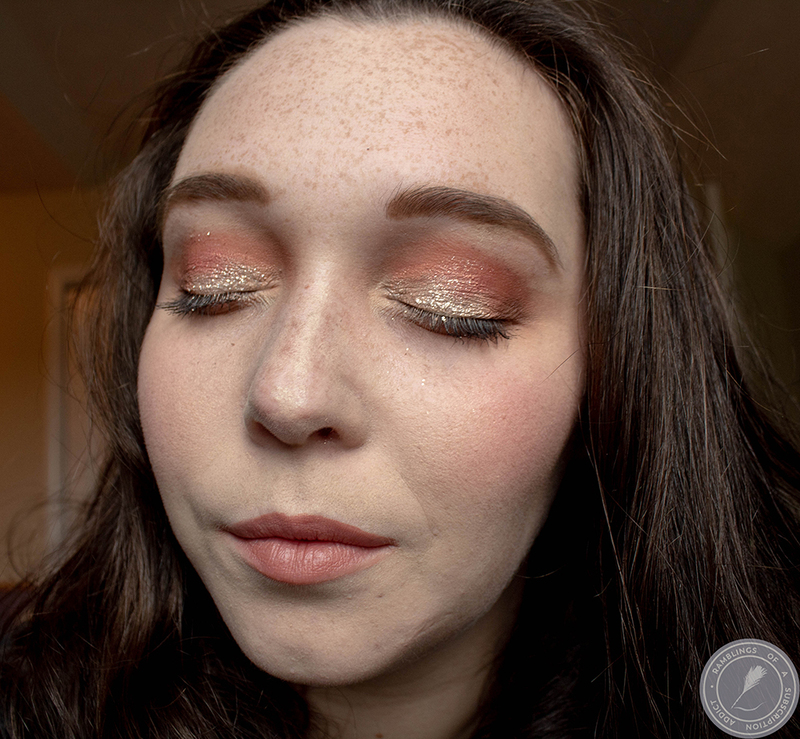 A wee bit of gold showing through. 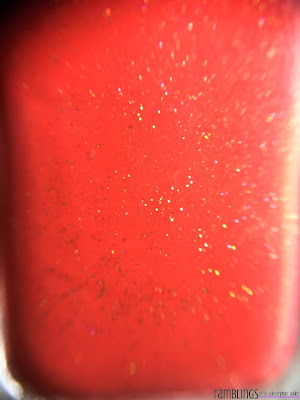 The gold is really there and you can easily see it in person but it's hiding in photos, which makes me really sad. 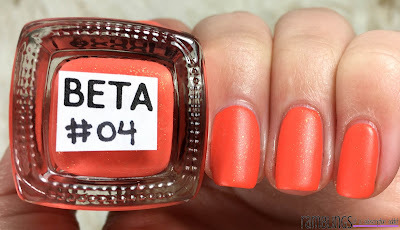 Beta 04 is a really gorgeous three coat polish, less with a white base. It dried smoothly, with no texture, and it dried to a demi-matte finish, so top coat to preferences. 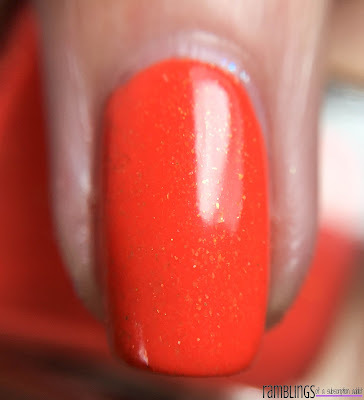 This isn't a polish I probably would have grabbed without it being a Beta but I'm glad I have it! 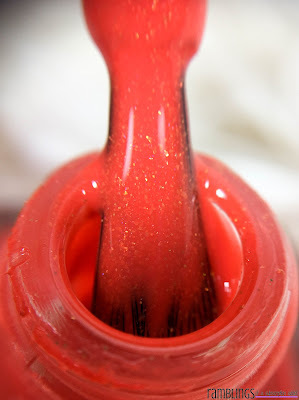 Have you picked up any of the Beta Batches yet? Let me know which ones you have!